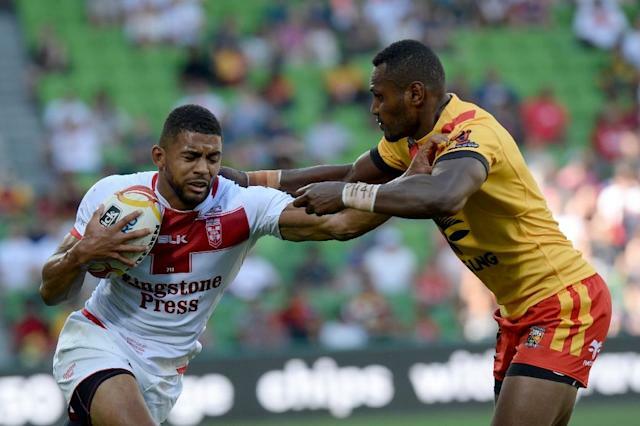 Sydney (AFP) - Severe heatstroke may have caused the sudden death of Papua New Guinea rising star Kato Ottio, who had recently signed with English side Widnes Vikings, hospital officials say. The 23-year-old former Canberra Raiders player died from "a sudden health issue" while on a training run this week. He was taken to the Pacific International Hospital in the PNG capital Port Moresby late Sunday and died on Tuesday. "Kato was brought to PIH in a critically ill condition which appeared to be complications of a possible severe heatstroke," the hospital's medical director Paul Alexander told the PNG Post Courier newspaper Thursday. "Unfortunately, despite all treatment measures the patient's medical condition deteriorated and he finally succumbed during the early hours of January 9." Ottio spent two seasons with the Canberra Raiders in Australia but after failing to break into their National Rugby League squad signed with Widnes in December. He had been expected to travel to England next week to get ready for the start of the new Super League season in February. "The passing of someone so young, so fit and with so much promise, is hard to come to terms with," said PNG Prime Minister Peter O'Neill. "It was only a matter of weeks ago that he proudly wore the colours of Papua New Guinea on the world stage as a Kumul." Ottio played six times for the national side, the Kumuls, and featured in last year's World Cup. His PNG Hunters team coach Michael Marum said Ottio passed medical tests to play in the World Cup and to join Widnes. "We don't know what he was doing before he came to training the night before or hours before," he added. In a double blow for PNG rugby league fans, former international and chairman of selectors David Tinemau also died this week after a long illness aged 63.